As we watch one of the greatest periods of growth for new rolling stock delivery in the UK, alongside HS2 and the digital railway, we need to ensure we leave a legacy. 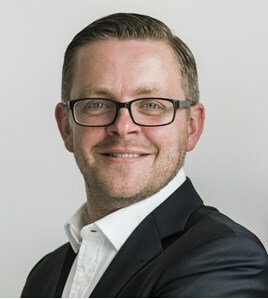 That is the message from Hitachi Rail Europe’s Head of Business Development Jim Brewin who will take to the National Rail Conference stage in Birmingham on June 15. Brewin says we need to address skills gaps, support local communities and involve people at all levels of a programme to encourage collaboration. We are delighted that Hitachi Rail Europe is a gold sponsor for this year’s conference. Hitachi draws on many years of experience as a supplier of high-speed trains such as the Shinkansen (bullet train) for the Japanese and international markets. In Europe, Hitachi Rail Europe’s first rolling stock contract was to deliver a fleet of 29 Class 395 trains, the first domestic high-speed train in the UK (for High Speed 1), which are maintained at Hitachi’s depot in Ashford, Kent.